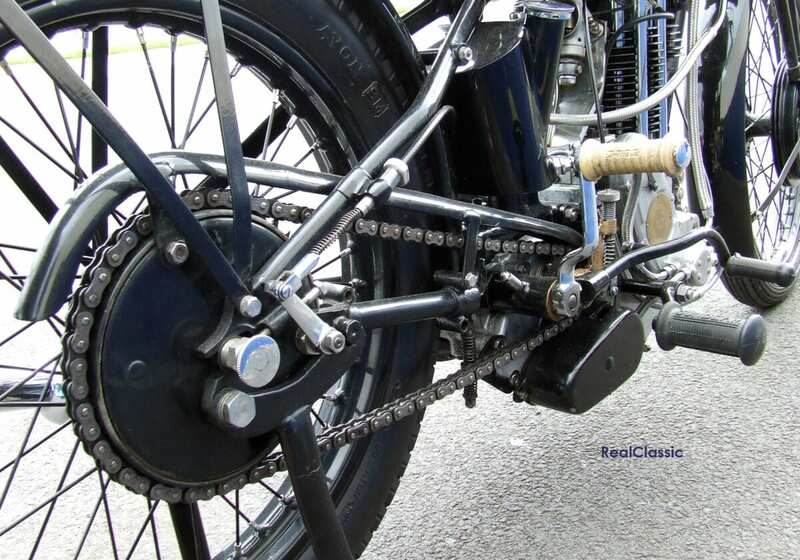 Sunbeam’s single-port Model 95 arrived in 1934 to replace the firm’s popular twin-port ohv Model 90 – a bike which in its day challenged even the mighty overhead cam Nortons. 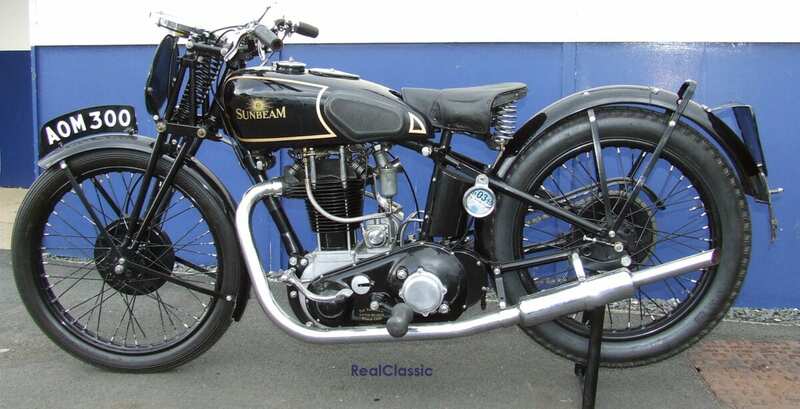 Its successor, the 493cc Model 95, headed the Sunbeam range for just two years before the firm was sold to AMC. In 1934, the Model 95’s performance came at a price; £95.10s with lighting an optional extra. 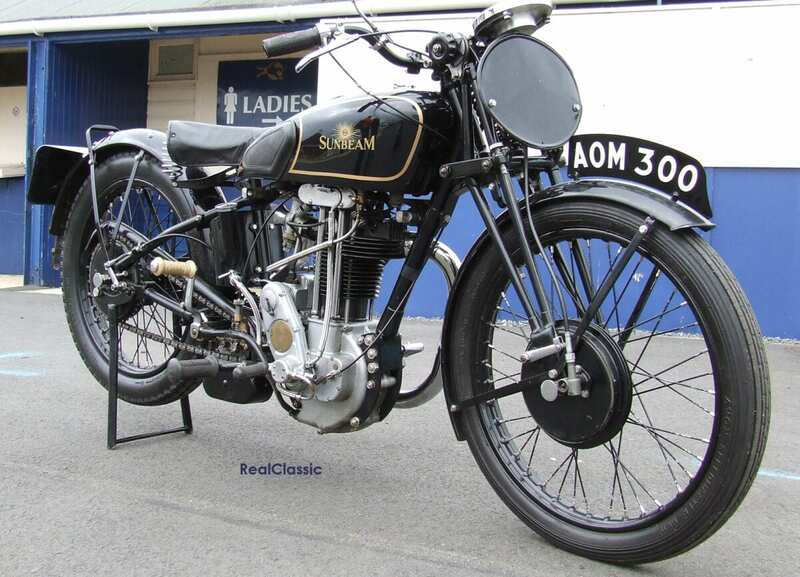 Its predecessor, the Model 90, cost £90 and was capable of 90mph – not at all bad for a long-stroke motor of 1920s design. 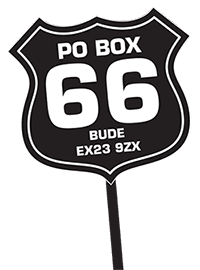 The Model 95 was made in 1935. It featured slightly larger wheels and brakes than its predecessor, and benefitted from Sunbeam’s traditional black weatherproof finish with rust-proof parts. Over time, the gearbox and cylinder head had been updated (although not entirely successfully, as we’ll see), and engine lubrication improved. 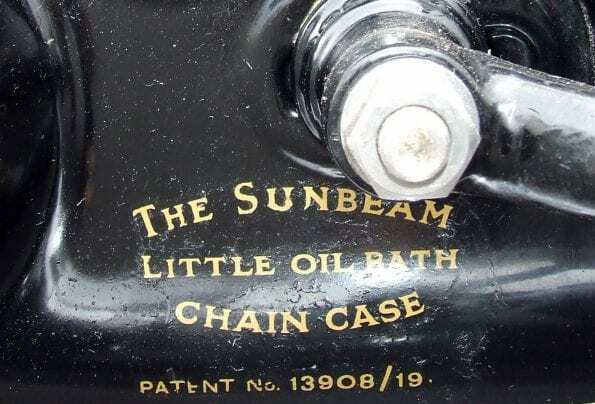 The patented Sunbeam ‘Little Oil Bath Chain case’ stemmed from Sunbeam’s bicycle production – although motorcycle sales were falling, the firm’s bicycle business doubled during the early 1930s. 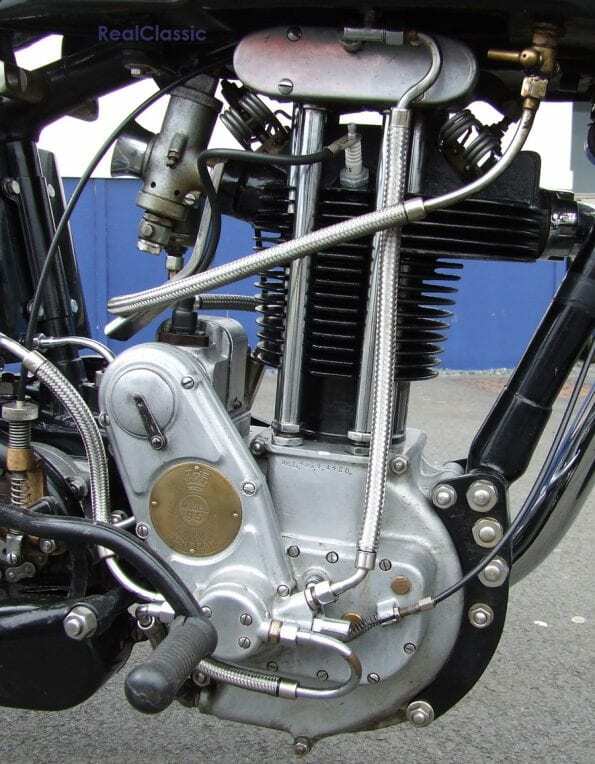 Like the Model 90 before it, much of the 95 was hand-fitted which made it an expensive motorcycle to manufacture. 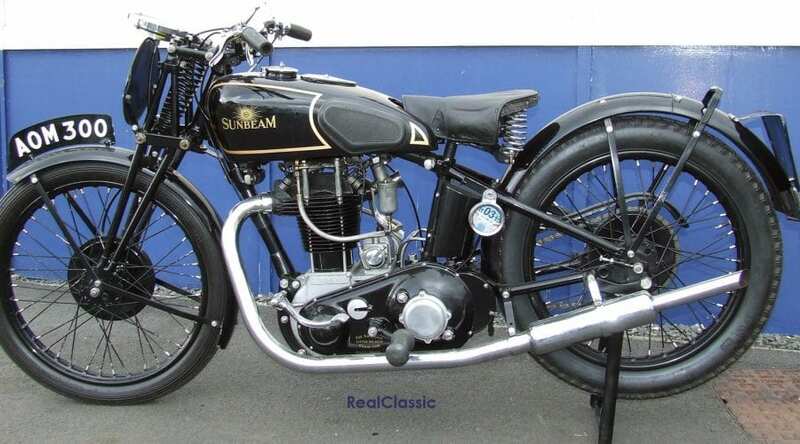 In 1935 its price was reduced to £85 and the purchaser was given a choice of a road or race version. Spending an extra £10 would see the race version tuned to give a potential 96mph top speed. When the previous owner acquired the Model 95 you see here, the gearbox failed on its very first outing. So it went back into his shed for many years. By the time Neil, the current owner, acquired it some nineteen years ago, it was in boxes. Thankfully it was pretty much all there. The failed gearbox turned out to be one of Sunbeam’s own, which had known issues. Sunbeam took some trouble to rectify these and tried to get it right before finally giving up and moving on to use a Burman gearbox with positive stop foot gearchange. This Sunbeam’s gearbox was found to be beyond repair but luckily a replacement was found, similar to the original but in good working order. Since its restoration the Model 95 has been ridden and enjoyed at events throughout the UK and Belgium. 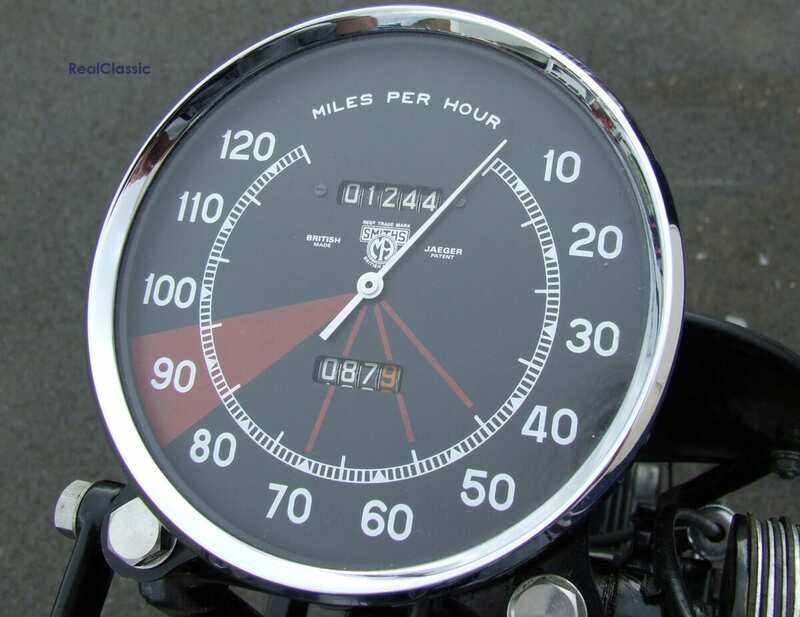 It’s obviously tremendous fun to ride – not least because of that distinctive speedo keeping tabs. This bike was found and photographed at the Scottish Classic Motorcycle Show which takes place at Ayr each year. A RealClassic recommended event!